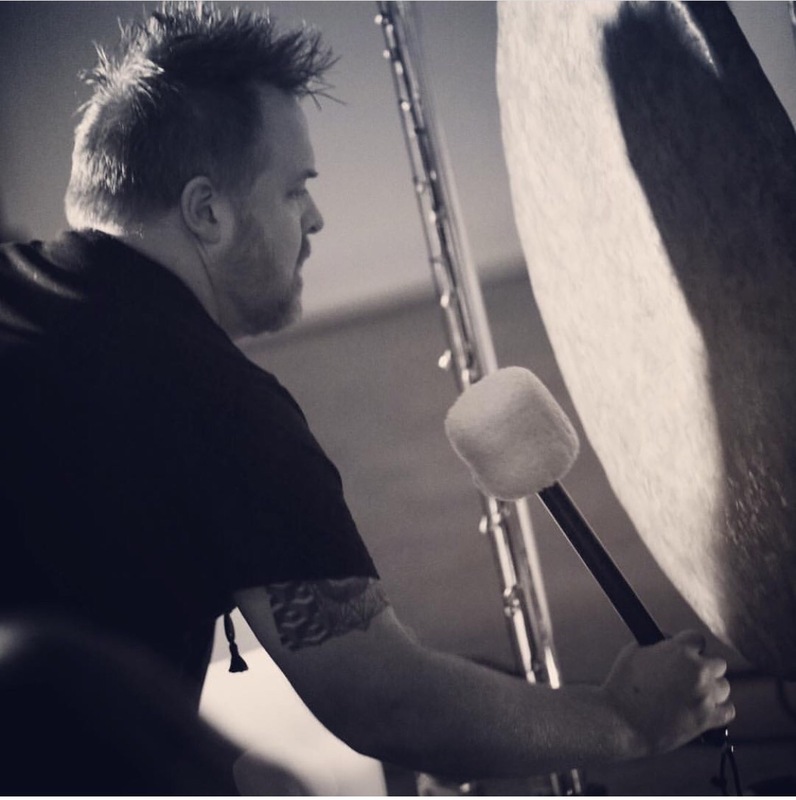 Jason (Jade) Lyons is a deeply empathic and intuitive sound and vibrational healer, gong specialist, licensed massage therapist, reiki practitioner, music producer, mindfulness and meditation teacher/coach and DJ from Chicago, IL. He is the founder and creative director of Sedona Az based Project Manifest and co-founder and creative director for Chicago based Curating Mindfulness. Spending his childhood in the small town of Chenoa Illinois, Jade would find an inextinguishable passion for music at an early age and started dabbling with DJing while still in highschool, setting the stage for a lifelong love affair with music. Higher education would soon call him to Aurora University where he would quickly learn the art of multitasking by juggling his schoolwork with playing football, working out and working as an athletic trainer for the schools Soccer, Basketball, Softball and Baseball teams. It was during this time that Jade would find the nightclub industry and his passion for music would soon gain control, quickly establishing himself within this industry. During this period he began working for, managing, promoting and performing both live and DJ sets at many of Chicago’s top nightclubs such as Karma, Crobar, Spybar, Sound Bar, The Mid and most recently Primary. As his passion for music continued to develop, his focus became directed towards his production and DJ performances, earning him residencies throughout Chicago and the co-creation of Chicago based event & production company Aural Matrix. While continuing to hone his skills as a musician, he began to study energy healing, reiki, the psychology behind music as well as vibroacoustics in order to shape the fundamentals of his musical direction. 2015 would be a pivotal year for him as a deeply transformative Ayahuasca ceremony would allow him to see life through sober eyes for the first time in many years and a great darkness lifted from his heart. This long overdue change shifted his personal journey to a more inward direction and his own healing and transformation was underway. The next two years he would attempt to live two separate identities that were completely contradictory to each other, one focusing on healing and wellness the other spent managing a nightclub and all the energies carried within. Knowing that taking the next step on the road as a healer would require a complete detachment of this industry and lifestyle the universe would provide him with just the kick he needed. It was a seemingly normal Wednesday night at Primary in June of 2017 that would change his life forever, on this night a city launched task force would shut down the nightclub indefinitely for building code violations, leaving him without a job and an opportunity for a “clean break”. With his nightclub days now behind him Jade now spends his time working as a sound healer and performing gong washes, shamanic journeys, restorative yoga classes and meditations throughout the US while popping up large scale and private mindful and meditation events. During this process his passion for djing has continued to thrive while refining his DJ style to fit a much more conscious lifestyle through a fusion of organic beats and melodies along with infectious grooves and basslines. He now finds himself performing regularly as a DJ and Sound Healer at Chicago’s Ecstatic Dance events. Jade’s current path has led him to Sedona AZ where he will be launching Project Manifest and deeply immersing himself within the healing and yoga community there to maximize his own personal growth. Look for many big things ahead as Jade’s light has just begun to shine and is currently guiding him to a life that even he could have never dreamed of.